Starting with the 11.1.2.3 release, Planning can now have plan types which use ASO cubes. You can write back to the ASO database and set up forms against an ASO database. After the data is input in ASO zero level members, the parent level doesn't need to run any business rules to roll up, they can do it automatically and the performance is good even for the large dimensions. For BSO, it cannot roll up data automatically for parent members and the business rules' aggregation speed is quiet low for large dimensions. 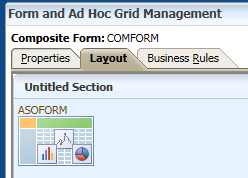 But for ASO cubes, you can't define any business rules in the calculation manager. Business rules are only served for BSO applications. 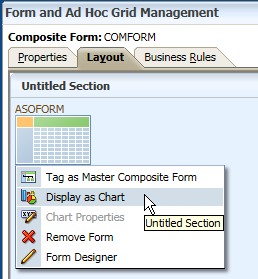 From the release 11.1.2.2 as well, form's data can be displayed as chart but only for the composite forms. 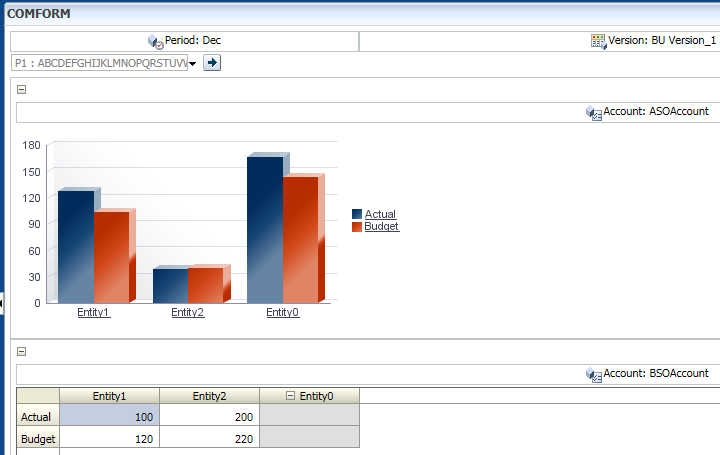 In the composite form design mode, you can set the form to display as chart. 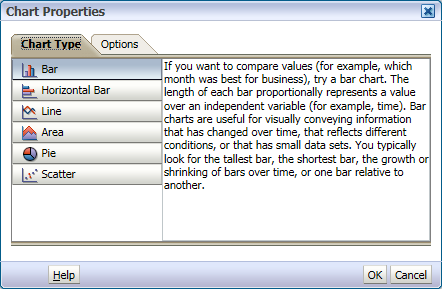 Then select the chart type, similar types as other BI tools. And then you can find the form's icon changed to a chart. The display results as below, seems not to bad. Now all the changes of cell's data will be recorded. 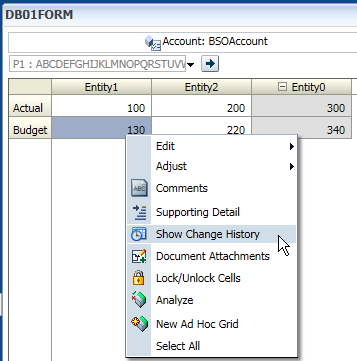 Right-click of the cell, click Show Change History. All the change history will be shown as below. 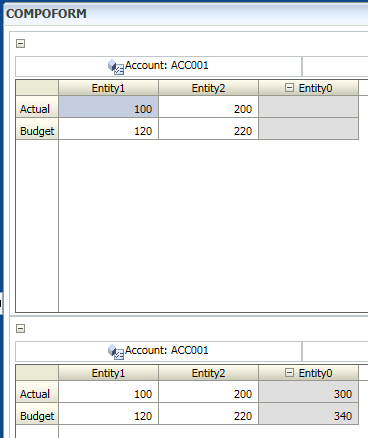 Another feature starts from 11.1.2.2 is "Map Reporting Application", it allows you to push data from planning databases to another Essbase database. 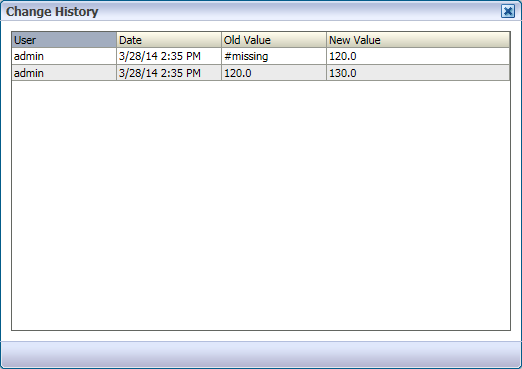 Look the example below, the upper form shows data stored in BSO cube and the lower form is an ASO one. 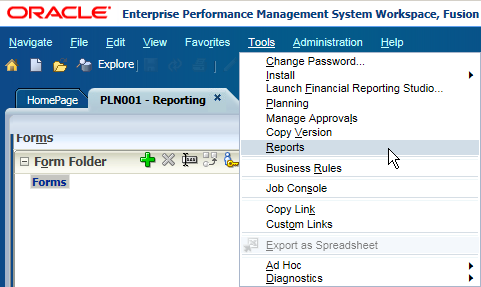 You can find the "Map Reporting Application" from Administration menu. 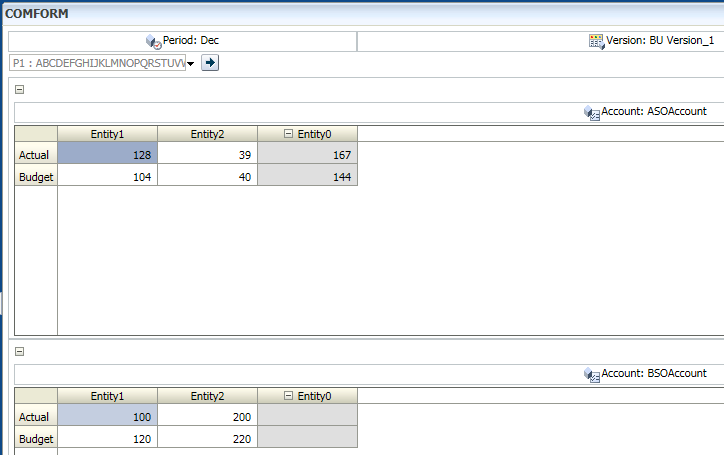 Input the Application Mapping Name, select the Source Application's Plan Type and select Essbase Reporting Application's database. 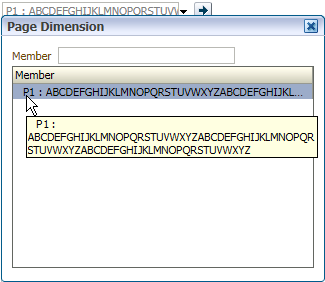 Define the mapping type, from the list you can define types "Dimension to Dimension" or "Smart List to Dimension"
Select the new created mapping, click "Push data"
The data was pushed to ASO cube from the source Planning cube, and because the destination is an ASO cube so that data can be aggregated automatically. Good information,can we automate the process of pushing data to reporting cube?